Notes on rear mat designNot designed or recommended for models equipped with vinyl flooring. All-Weather Floor Mats were intended to give the best possible protection for your 2008 Ford F-150's floor. Many of our front and rear mat applications are model specific, while others are assigned as the best possible fit for your 2008 Ford F-150 from our many shapes and sizes. Some rear mat sizes are designed to be trimmed so that they may be customized to fit almost any vehicle. The fit of this product was spot on in my truck and the quality is outstanding. I had a small issue with a couple of the mats which customer service took care of promptly and professionally. Great product, great company. 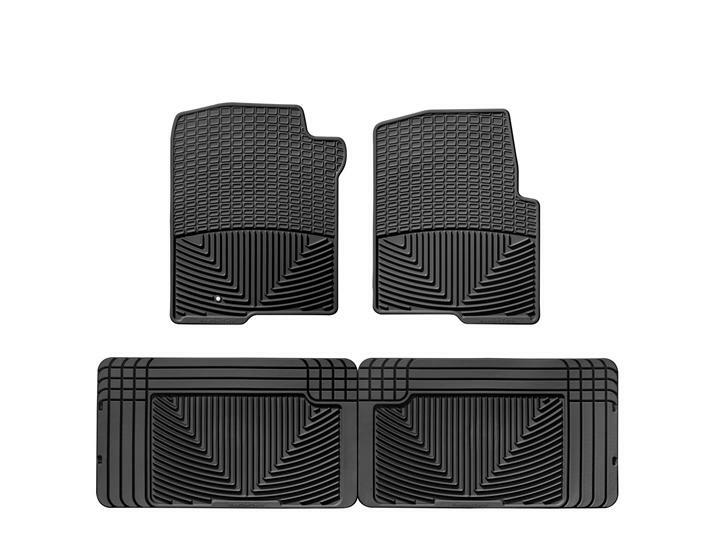 I purchased the split floor mats for the front and the rear full mat for my 2016 Ford F150 XLT with Super Crew Cab. The fit is perfect. The fit is exactly what I would expect from WeathertTech. The front mats snap into the factory carpet snap points and the rear mat extends from door to door with a perfect fit front to back and door to door. I HAVE ALWAYS LOVED THE WEATHER TECH FLOORMATS AND HAVE USED THEM IN ALL MY VEHICLES. THEY HAVE A PERFECT FIT WHEN I BOUGHT MY NEW 2013 FORD EXPEDITION AND I LOVE THE WAY THE MAT COVERS THE BACK OF THE CARGO AREA WITH THE THIRD SEAT FOLDED DOWN. WHEN IT CAME TIME TO GET MATS FOR MY NEX 2016 FORD F 150 I HEADED BACK TO THE COMPANY AND THE MATS THAT I HAVE USED FOR YEARS. I have had this truck since new. I still have the original floor mats in it. I probably should get new ones but there are no holes in them. So, can you beat that, 16 years and still good? Oh by the way they are carpeted too. I sought a mat that would protect my carpet in the truck. The mats I purchased from Weathertech exceeded all expectation. They fit perfectly! They look fantastic! They feel sturdy and no-slip underfoot. Best of all they channel melted snow right out the door! Great job! Keep it up! Quality matters!